The 1-Page Marketing Plan is a breakthrough which makes creating a marketing plan simple and fast. In literally a single page, you’ll be able to map out your own sophisticated marketing plan and go from zero to marketing hero. How to close sales without being pushy or needy and have prospects beg you to take their money. Marketing strategies that actually work for small and medium sized businesses. How to get amazing results on a small marketing budget using the secrets of direct response marketing. 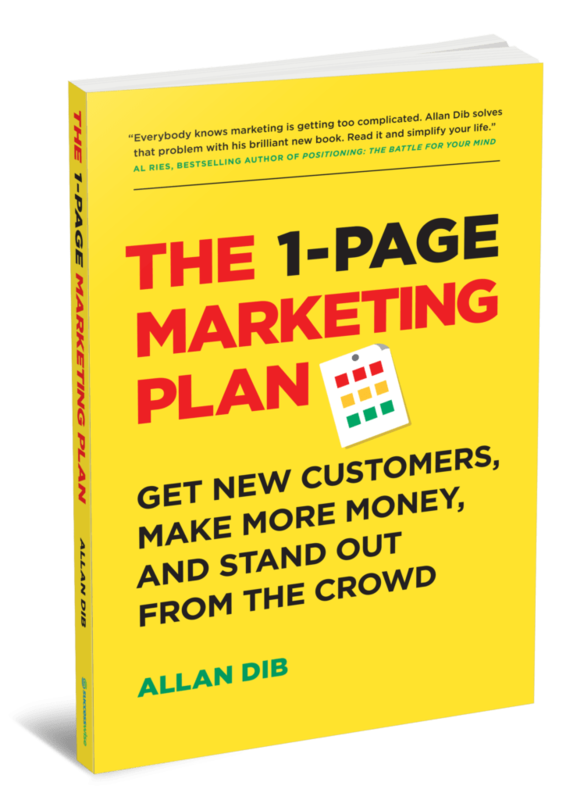 The 1-Page Marketing Plan cuts through all the hype and gives you a step-by-step formula for rapid business growth. To build a successful business you need to stop doing random acts of marketing and start following a reliable plan for rapid business growth. Traditionally, creating a marketing plan has been a difficult and time-consuming process, which is why it often doesn’t get done.